Susie would be the first to say this is not a typical baby quilt. She made this top for a couple having their first baby, a sweet boy. The mom-to-be is a Minnesotan currently living in New York, and the fabrics are Minnesota themed fabrics. 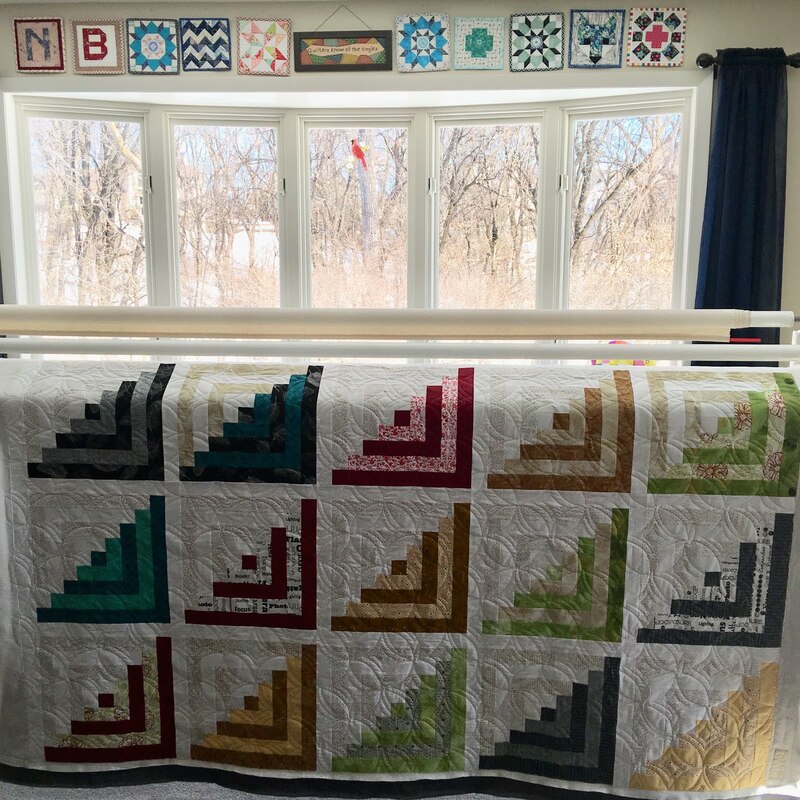 The quilt pattern is Nova by Gudrun Erla. You can see my version of this pattern here. The quilting is Cinnamon. Susie pieced together a backing from the leftover pieces of fabric. 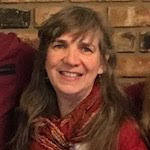 Nice job, Susie! The mother-to-be will especially cherish it. And baby will be reading those Minnesota town names before you know it! 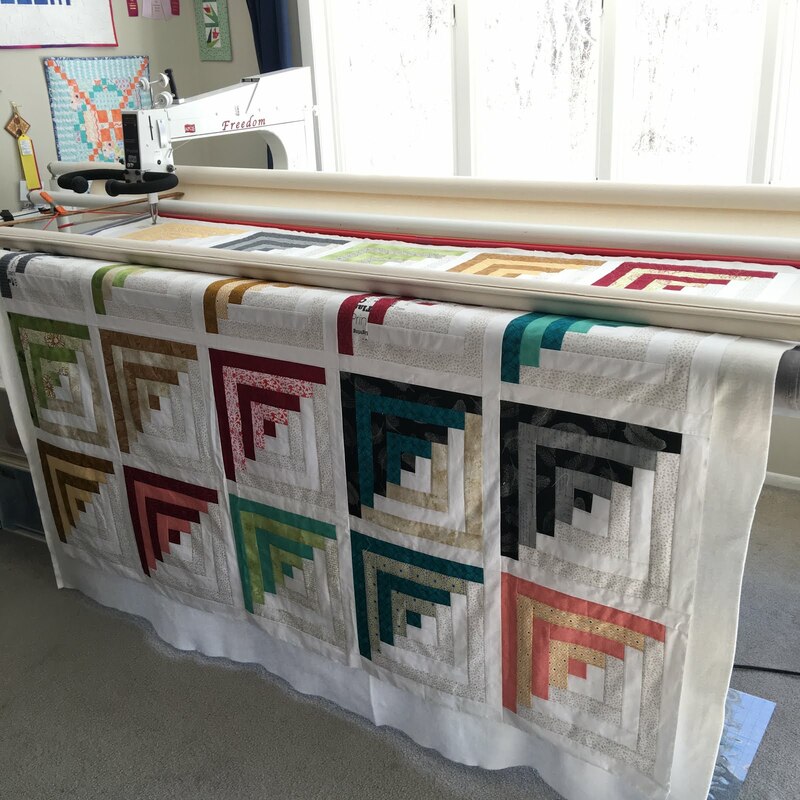 This quilt top is made by Michele, a very modern log cabin. 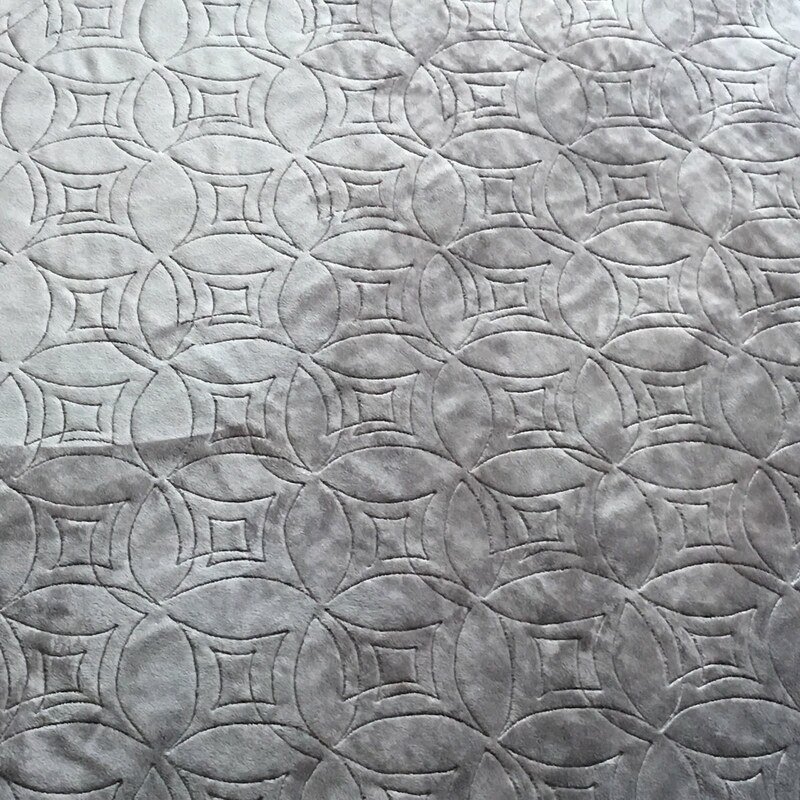 I quilted it with "Verve", which shows up great on the silver grey Minkee backing. 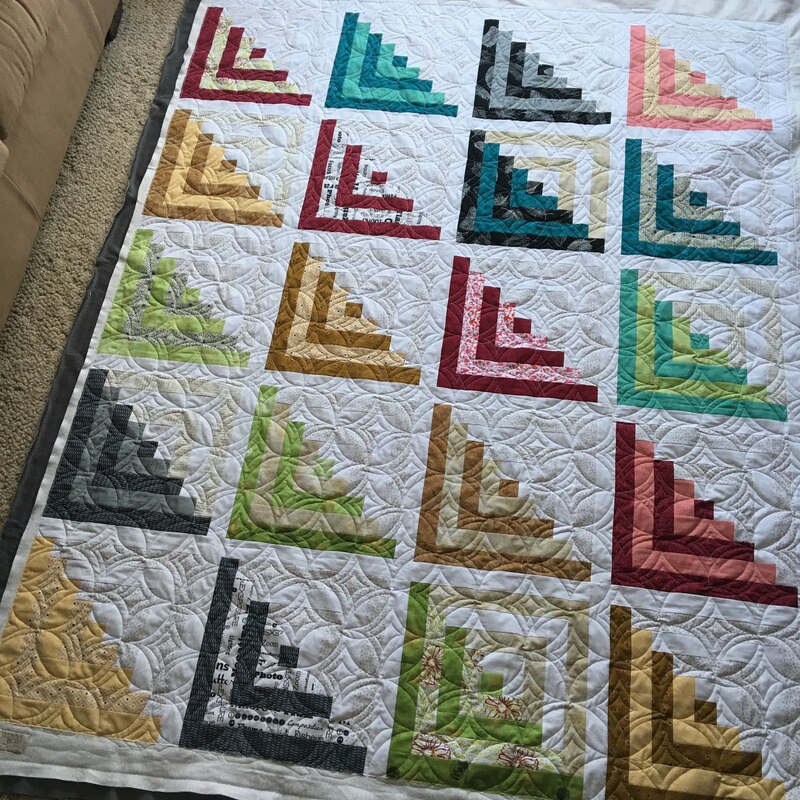 Such a fun, modern quilt, Michele. It is sure to bring comfort to the recipients. Very neat baby quilt with a Minnesota flair! 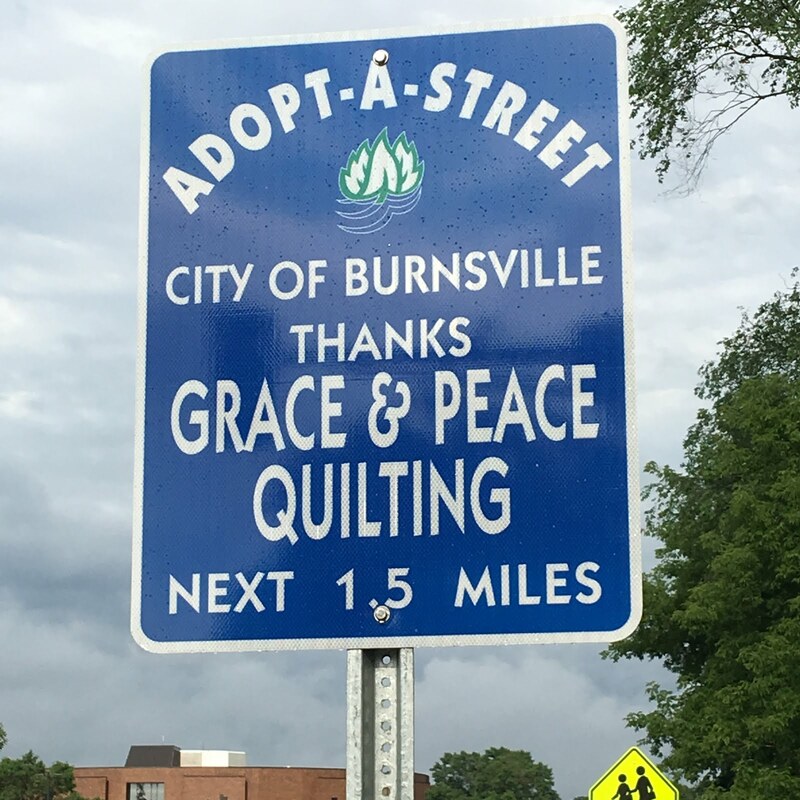 Did you find Cottage Grove and Burnsville listed in the town names? 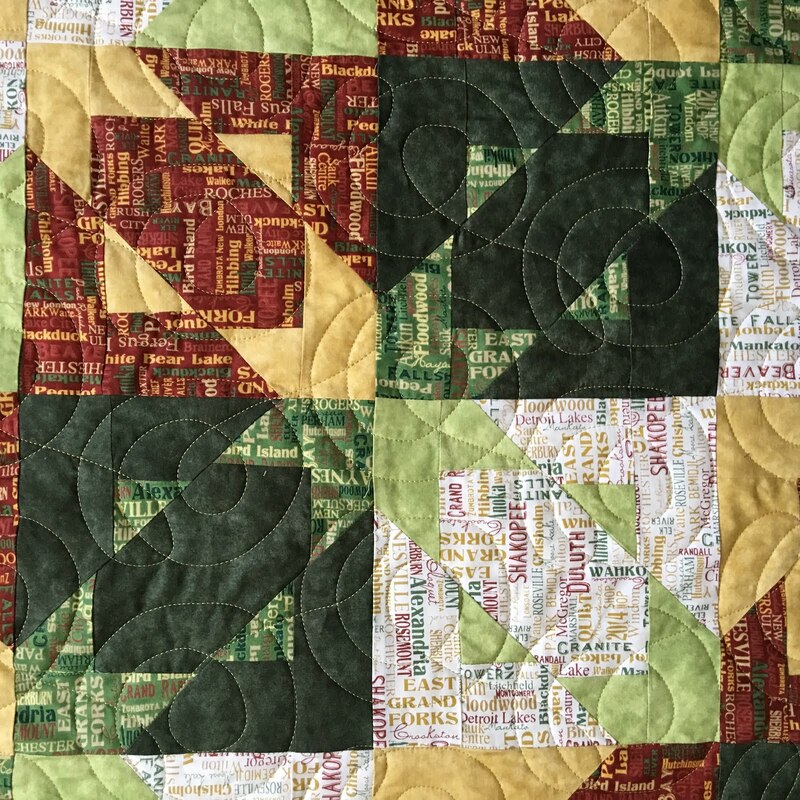 Love the modern log cabin quilt and the verve quilting pattern adds a lot of texture and interest to it. Nova is such a great pattern, and the quilt done in MN fabrics is very clever! Love that modern log cabin! 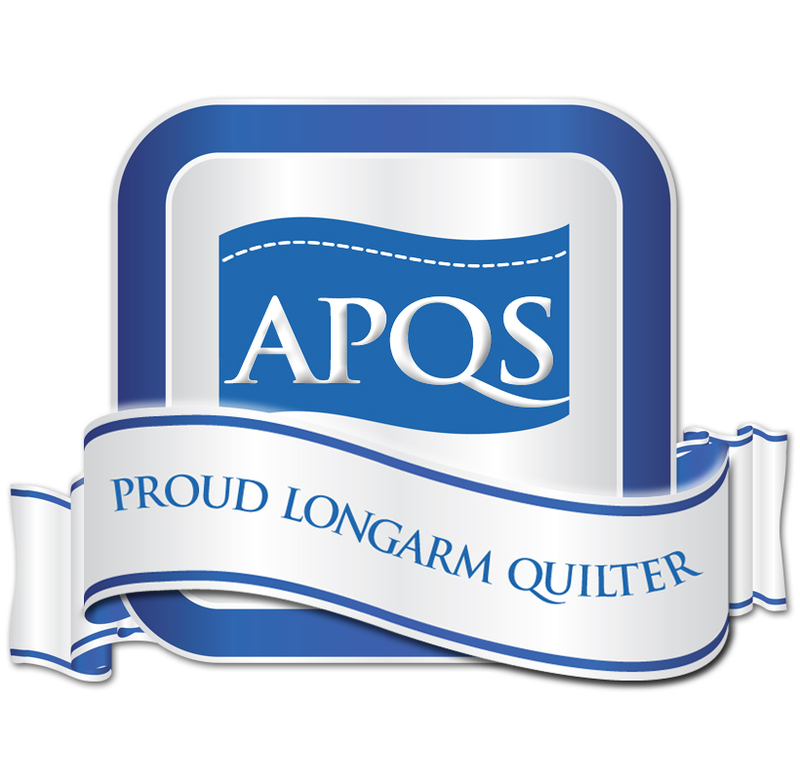 Nice quilts and quilting! Your design on the Modern logs is a fun one, well execute? I love the view looking out your window with the cardinal peeking in and your fun mini quilts above the window! I LOVE these 2 quilts! That Nova pattern keeps popping up, it's adorable and I think I might have to add it to my queue. I love that log cabin quilt, but I absolutely love modern log cabins! The colors are bright and beautiful and your quilting is so perfect, it looks like a computer did it. Great job! 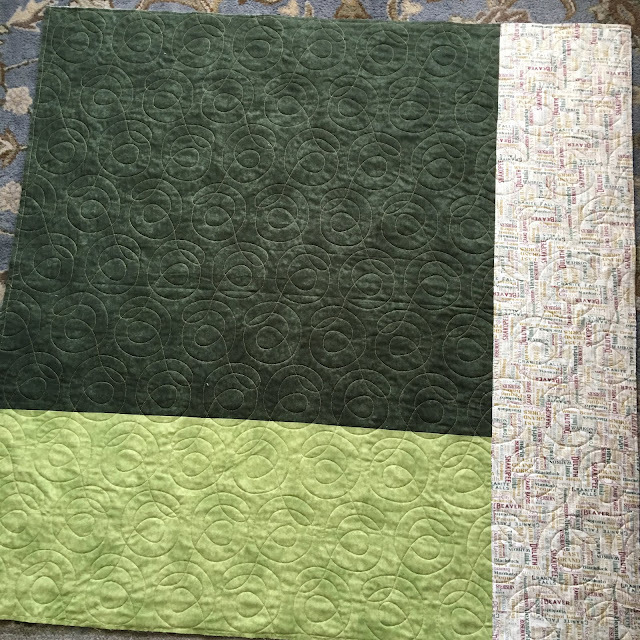 You've been very busy with working your quilting magic on these two quilts. Love the Nova pattern and I can see it works with both modern and traditional fabrics. And the quilting on the log cabin quilt looks so luscious. 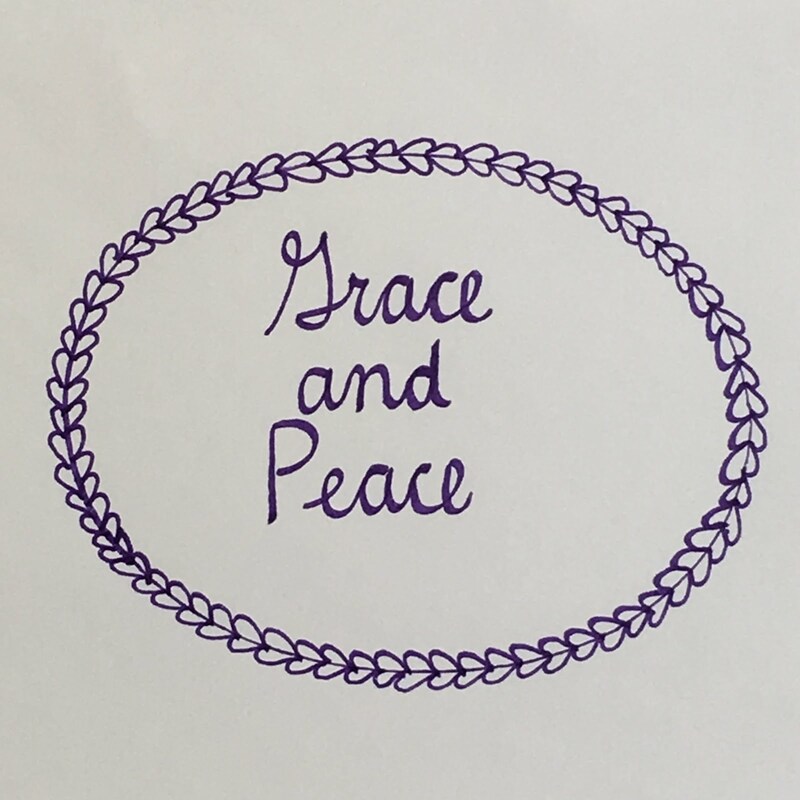 Great job(s)! 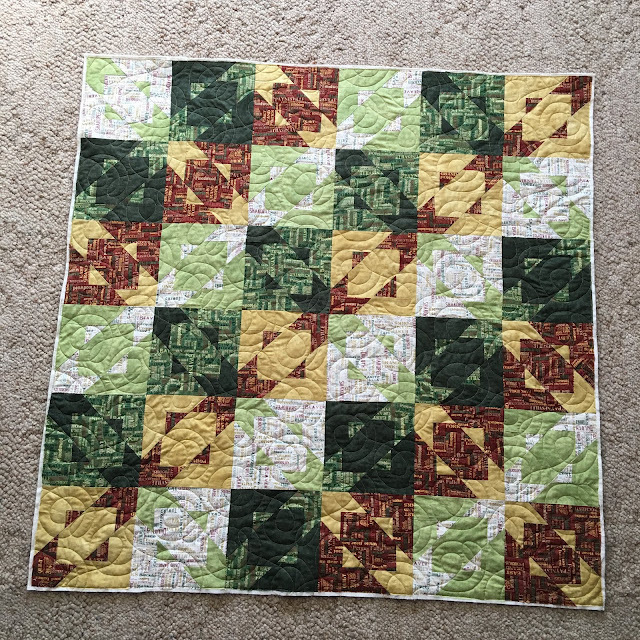 Very pretty quilting! Oh my gosh! I'm so glad you share your talent and take such great pictures! What a fun pattern for a baby quilt! I am so into using my stash this year, and this pattern could be adapted to stash busting, I think! I may have to search it out. I also noticed your neighborly cardinal in your photo. Lucky lady!!! 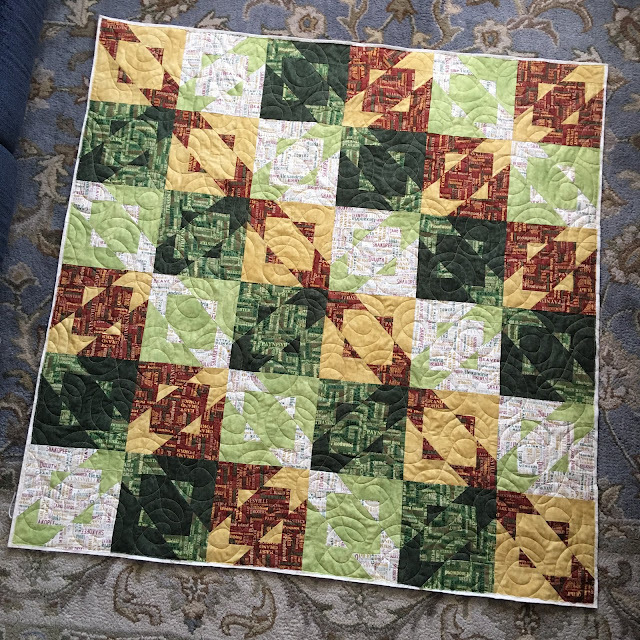 Great quilting on both of the quilts! The minky on the back of the log cabin quilt looks so soft and cozy!